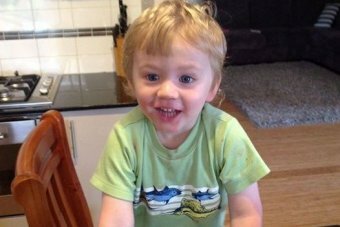 The family of a Perth toddler who went missing on Tuesday has thanked the community for their assistance after his body was found by police divers. Sam Trott disappeared from his Walbrook Mews home in the northern Perth suburb of Landsdale, just after 10:30am (WST) on Tuesday. He is believed to have left through the front door of the house when it was apparently left open by tradesmen. 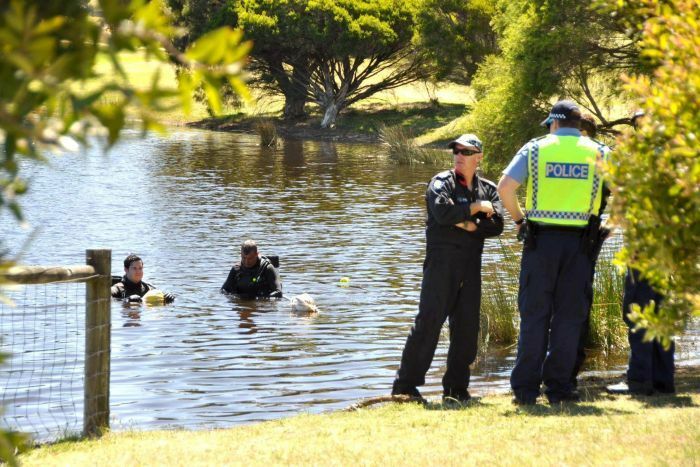 Police called off an extensive search for two-year-old Sam on Wednesday morning and cleared volunteers from around a lake in Warradale Park, near the boy's home. Divers recovered the body just before 10:00am (AWST). Volunteers who had gathered to help with the search wiped away tears as news broke that the body had been found. In an emotional address to the media, Sam's grandfather Geoff Trott said the family was struggling to come to terms with their loss. He said the family wanted to express its heartfelt support to those involved in the search and to police for their rapid response and ongoing support. "We also deeply appreciate the countless messages of support, prayers and kind thoughts of so many," he said. He said Sam's parents Matthew and Lyndal were "devastated". "Sam could not have been blessed with more devoted parents than Matt and Lyndal, who have loved him unconditionally since the day he was born," Mr Trott said. "As with all parents, they've strived to give him the best life possible, and since his diagnosis of autism they've been unrelenting in their quest to create every opportunity for him to thrive and to fulfil his potential." Police inspector Gary Lewis, who coordinated the search, also paid tribute to the hundreds of people involved in the search. "I would just like to make particular note of the immense community support that was provided by the community members of the Landsdale community and the greater surrounds," he said. "At 3 o'clock this morning we had people from as far as Rockingham and Warnbro arriving to assist with our inquiries. "I'd also like to pay particular thanks to the vast numbers of SES, fire brigade and police and other members of the emergency services that came out and assisted, including the Salvation Army and the St Johns Ambulance." He said he had not seen such a community response in his 30 years in the police force. "I've seen a massive response in regional WA, but this is unbelievable and unprecedented in the metropolitan area," Inspector Lewis said. WA Premier Colin Barnett also thanked the community for joining the search. "People came out of their houses and helped search, and I very much thank them for that ," he said. 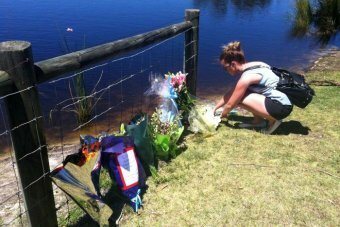 "It's a very special sort of West Australian sentiment and for a little boy to just be wandering around and unfortunately died, it's just an awful awful circumstance and I know there's an immense sense of sympathy around Western Australia." The mood was sombre as many of the volunteer searchers remained at the site, sitting in small groups as police addressed the media. Others arrived with flowers at the park and the family's home. Kristi McIntyre came from Coogee to search Tuesday night and again on Wednesday and said she felt absolutely heartbroken by the outcome. "I shudder to think at any time, but particularly this close to Christmas, that this family's lost their baby," she said. "My youngest is five and I said to my partner, 'I can't sit on the couch, if it was us, I would want everybody out searching', and I was available to be here and in myself I just had to be here." Neighbours, police and volunteers had continued to search through the night for Sam. Sam's grandfather had earlier raised concerns that the child's autism may have made his behaviour unpredictable, and that he may not have answered if called.